GEO ExPro - Haven’t I Seen That Somewhere Before? Haven’t I Seen That Somewhere Before? 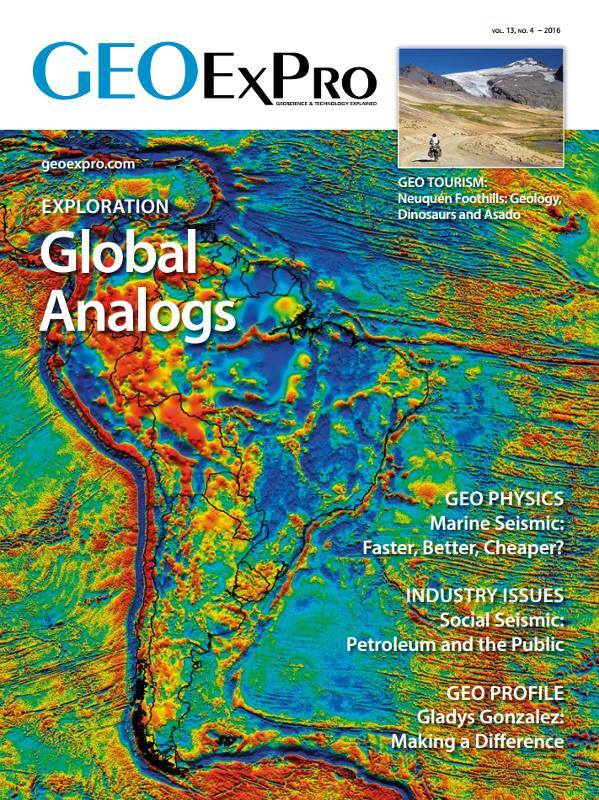 Considering the value of global analogs when characterizing passive continental margins. This article first appeared as the lead story in Vol. 13. No. 4 of our magazine. To subscribe to the magazine please use the menu at the top of this page. Understanding the nature of continent-ocean transition zones along continental margins and classifying them is key to building robust plate models. Together these can lead to a better understanding of the evolution of sedimentary basins and depositional systems along continental margins. One tool to help illustrate margin structure is to look at analog geophysical signatures of ‘typical’ margin types. In this article we investigate the character of the continent-ocean transition zone in potential field data at a number of Atlantic passive margins. We also consider whether common elements are observed in equivalent environments. Margin types are classified in general terms as magma-rich or magma-poor (see 'Terminology Explained: Margin Classification', below); in reality, a spectrum of variations exists between these end-members. Nevertheless, with appropriate independent support, analog examples can significantly support this classification. Internally consistent global gravity and magnetic datasets are highly valuable tools to evaluate the character of passive continental margins. To look at continental margin classification on a broad scale and to allow a sufficient pool of comparison material requires excellent, internally consistent data coverage. The gravity and magnetic datasets developed at Getech enable the problem to be addressed in a truly global perspective. The company’s continental margins’ gravity data are derived from the latest, post-2010 satellite altimetry missions, including multiple data collection cycles from the Cryosat-2 and AltiKa satellites. Together with enhanced processing techniques, this has enabled the production of a high-quality, self-consistent dataset at a previously unachievable resolution. The consistent source and resolution of the data are vital features that enable the interpreters to have confidence that their observations are directly related to geology, as opposed to variations in survey specification and processing parameters. Terrestrial magnetic data are patchier in coverage, but the reduction to common processing parameters and nominal reference elevation increases their usability in this context. From the continent to the ocean, Getech classifies the crust at passive continental margins into four domains: continental, attenuated, transitional and oceanic. The transitional domain is generally classified into the end-member type it best resembles: magma-poor or magma-rich. The magma-poor transitional domain includes crust that has undergone ductile thinning, hyperextension, igneous underplating, or exhumation and serpentinization of the mantle. The magma-rich transitional domain includes crust with widespread crustal intrusions and voluminous surface volcanism, which is imaged in seismic sections as seaward-dipping reflectors. The following examples describe a number of Atlantic passive margin locations that illustrate the nature of 'end-member' margin styles within the Getech classification system. The first example is from the Iberian Atlantic margin, which we consider to be a magma-poor margin. 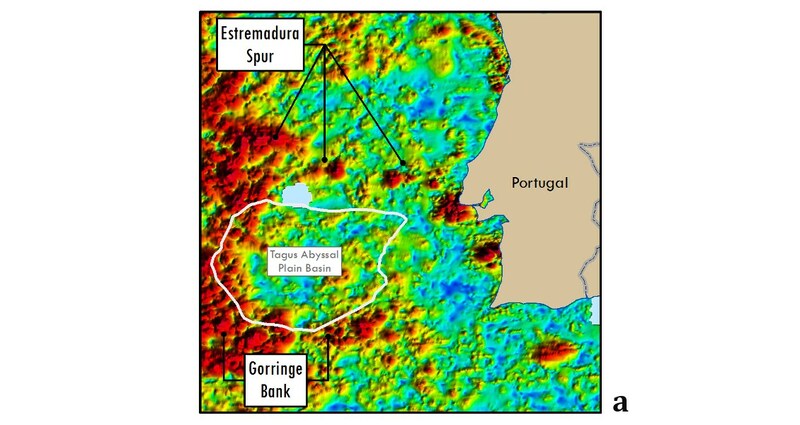 Figure 1 shows examples from the vicinity of the Tagus Abyssal Plain, offshore Portugal. To highlight the textural character, the analytic signal (also known as total derivative) of the gridded gravity and magnetic data is presented. Figure 1a shows that the magnetic data are relatively subdued (low amplitude) over the transitional domain. The gravity data (Figure 1b) are also relatively subdued, with the exception of two areas that show high-amplitude responses that are associated with the presence of the Gorringe Bank (an uplifted and tilted block of exhumed mantle at the boundary between the Eurasian and African Plates) and the Estremadura Spur (which contains pre-rift volcanics). In the vicinity of the Tagus Abyssal Plain, the character and amplitudes in potential field data are also subdued. 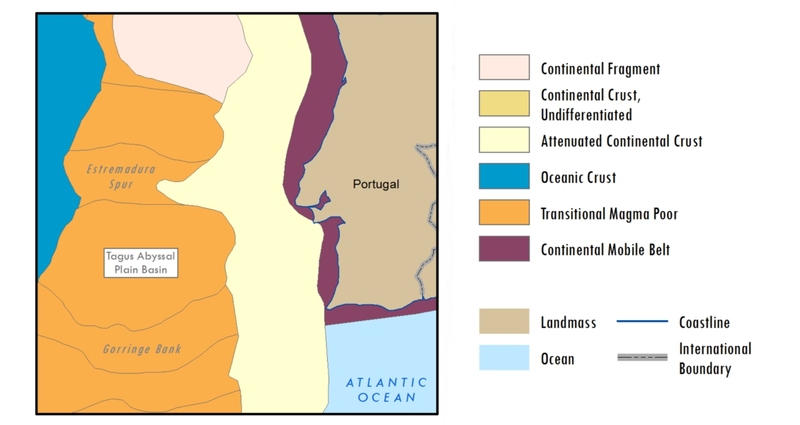 Figure 1: The Iberian continental margin. a) Analytic signal of total magnetic intensity. b) Analytic signal of free-air gravity. 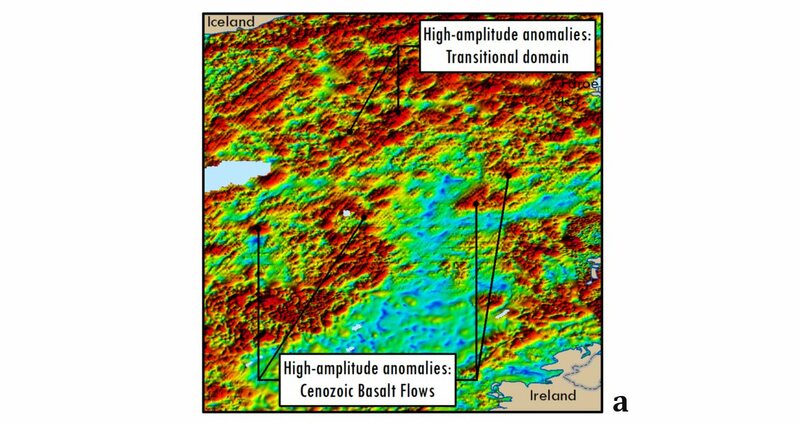 Note the subdued character of the gravity and magnetic data in the areas highlighted. Higher-amplitude zones adjacent to these are not directly related to the composition of the transitional crust. 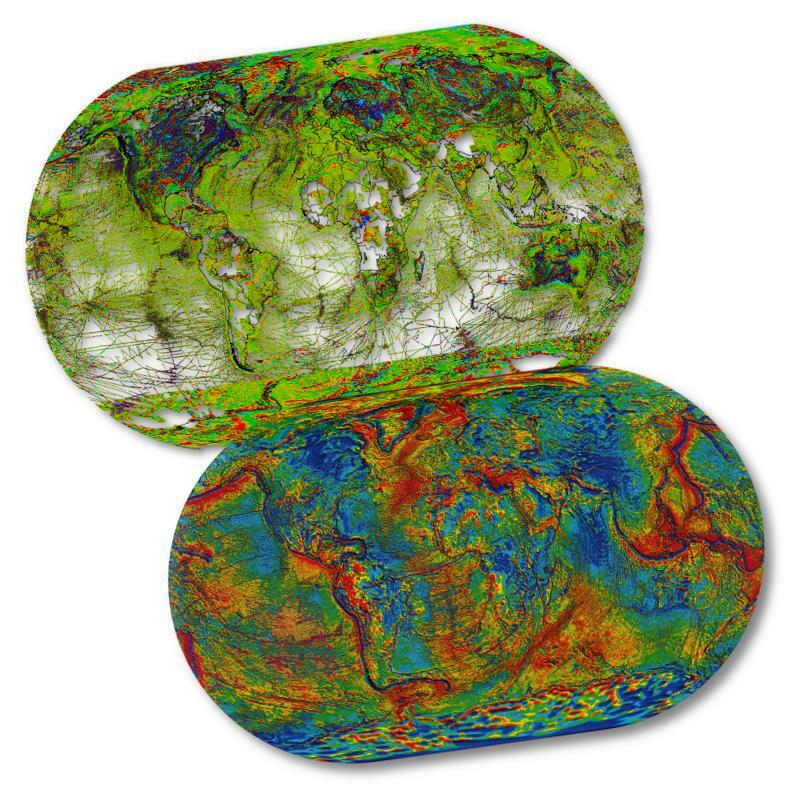 We modeled the crustal structure (Figure 2) of the margin with several 2D gravity and magnetic models (supported by seismic observations where possible), and consistently observed the characteristically subdued magnetic and gravity response (Figure 3). It is suggested that this character supports the interpretation of a magma-poor transitional margin, with the hypothesis of exhumed mantle flooring the basin being reinforced by the low-amplitude magnetic and gravity responses. Figure 2: Getech crustal classification for this part of the Iberian margin. 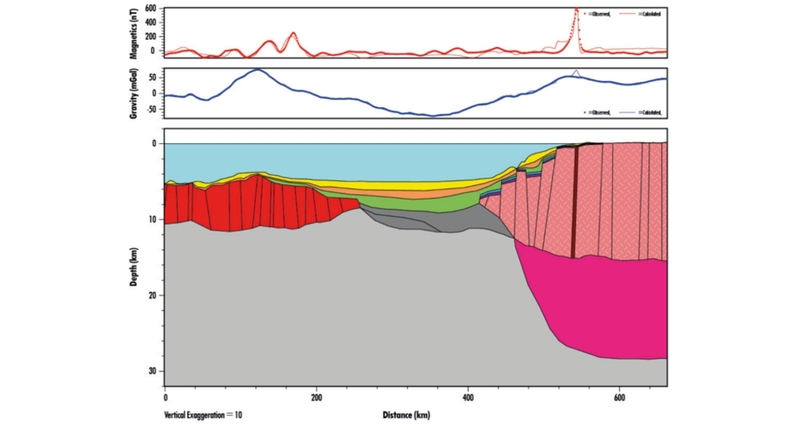 Figure 3: A 2D gravity and magnetic model of the western Iberia continental margin that highlights the subdued nature of the magnetic and gravity response over the magma-poor transitional crust at ~180–450 km. 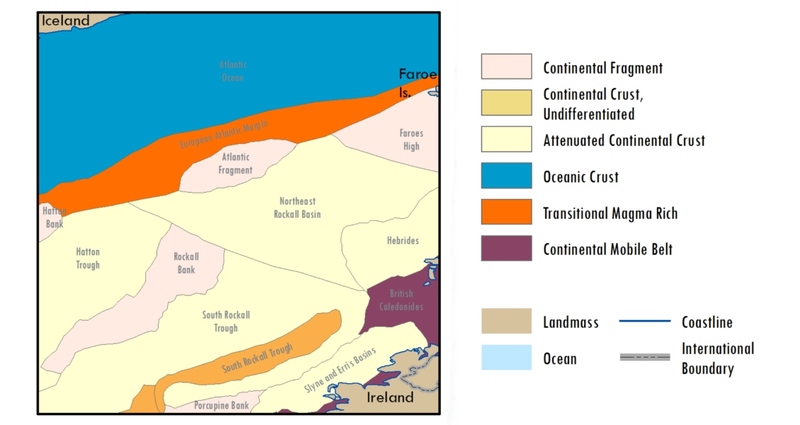 The second example is from the West of Ireland/ UK Atlantic margin. We interpret this as a magma-rich continental margin, as evidenced by both the dense crust that was formed by the intrusion and addition of igneous material, and the seismic interpretation of the seaward-dipping reflector sequences indicative of tilted volcaniclastic flows. To highlight the margin’s textural character, the analytic signal of the gravity and magnetic maps is again shown. 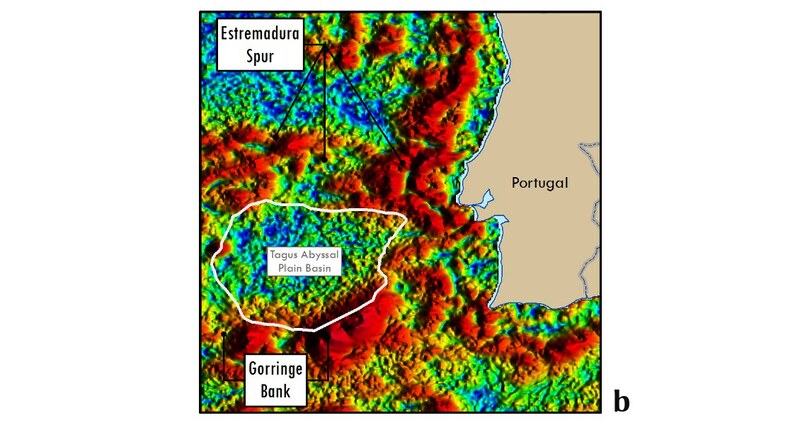 Figure 4a indicates that the magnetic data of the western Rockall margin display significantly higher amplitude in the transitional domain than the magnetic data observed in the Tagus Abyssal Plain; the gravity data (Figure 4b) are of similar nature. Figure 4: a) Analytic signal of total magnetic intensity. b) Analytic signal of free-air gravity. Note the high-amplitude character of the magnetic and gravity data in the areas highlighted. These areas are partially associated with the magma-rich transitional crust or Cenozoic basalt flows. It is important to be aware that the characteristic signature is not solely due to the magma-rich crust associated with break-up as pervasive Cenozoic basalt flows also contribute to the observed signal. A representative 2D model from the margin highlights the high-amplitude, high-frequency character that we consider diagnostic of this type of margin (Figure 6). Figure 5: Our crustal classification for this part of the Rockall margin. 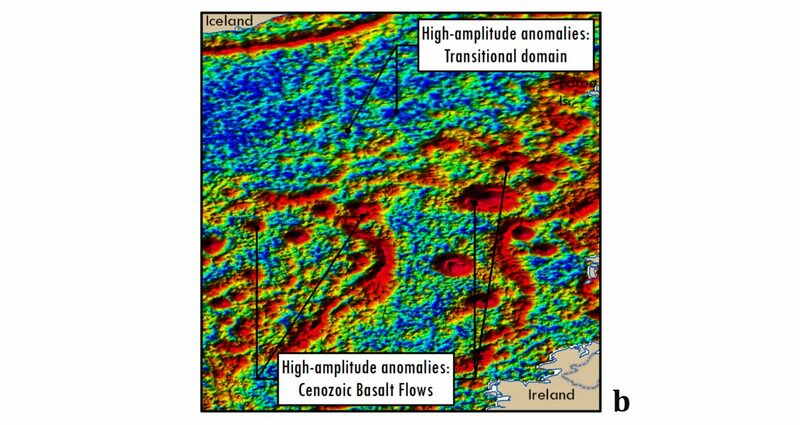 Figure 6: A 2D gravity and magnetic model of the western Rockall continental margin that highlights the high-amplitude nature of the magnetic response over the magma-rich transitional crust at ~30–200 km. 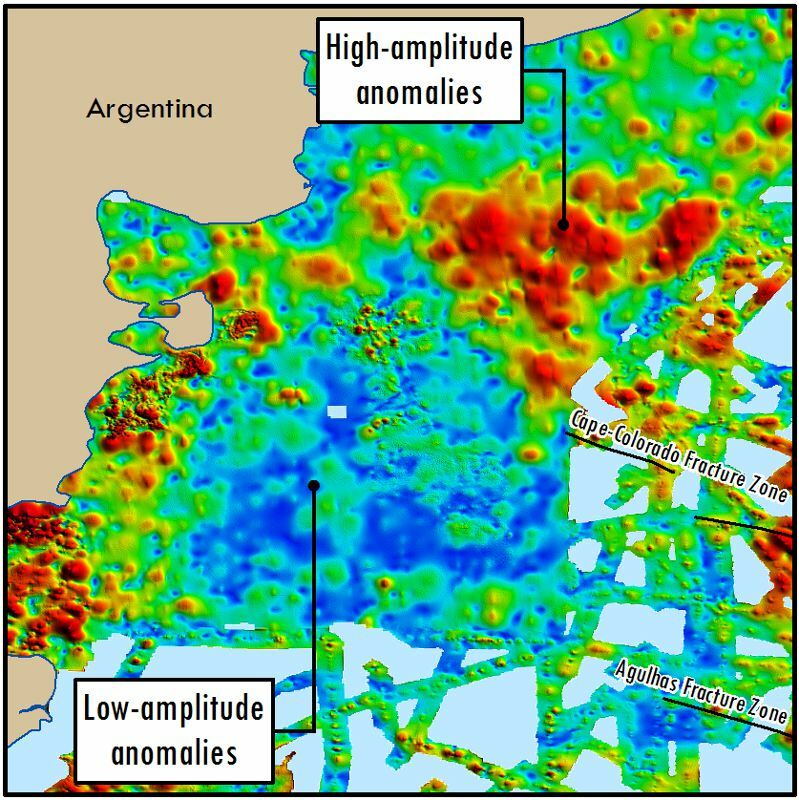 Figure 8: Analytic signal of total magnetic intensity for the conjugate offshore Argentina area (cf. Figure 7). 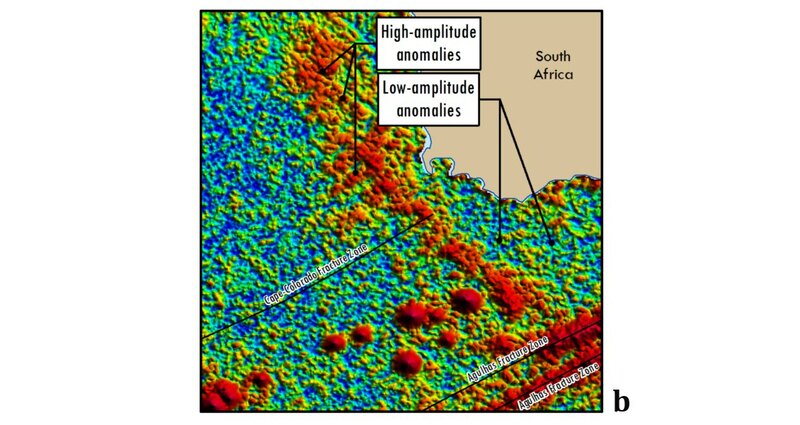 Figure 7 (below) shows the same derivatives of potential field data applied to both the southern West African continental margin in the vicinity of the Orange Basin and Figure 8 (opposite) shows a corresponding example from its conjugate margin in offshore Argentina. 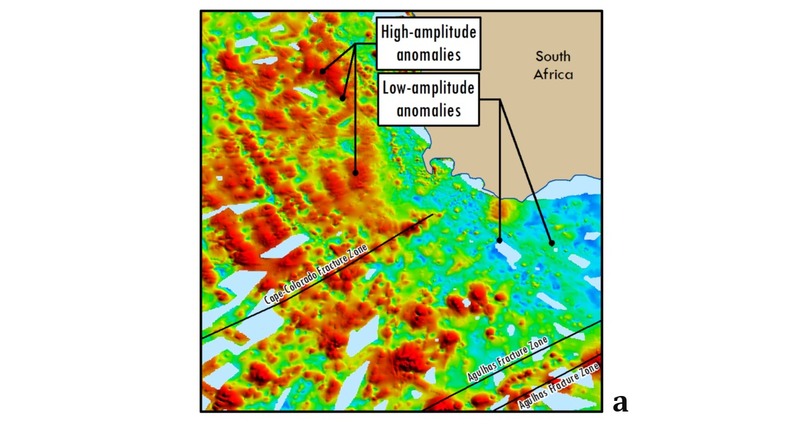 In these examples, we see high-amplitude responses to the north of the Cape-Colorado Fracture Zone, with generally smoother, lower-amplitude responses to the south, between the Cape-Colorado and Agulhas Fracture Zones. Extending the analog approach based on the observations from Iberia and Rockall leads us to an initial interpretation of a volcanic, magma-rich margin being present to the north of the Cape-Colorado Fracture Zone. The margin then sharply transitions to a magma-poor setting to the south of this fracture zone. This interpretation requires further testing with 2D modeling and ground truthing against independent data. Figure 7: a) Analytic signal of total magnetic intensity for the Orange Basin area. This reinforces the hypothesis that the margin is largely magma-rich in nature to the north of the Cape-Colorado Fracture Zone, transitioning to a magma-poor setting to the south of this fracture zone. Figure 7: b) Basin area. b) Analytic signal of free-air gravity for the Orange Basin area. Note the high- and low-amplitude characters in the areas highlighted, particularly in the magnetic data. This reinforces the hypothesis that the margin is largely magma-rich in nature to the north of the Cape-Colorado Fracture Zone, transitioning to a magma-poor setting to the south of this fracture zone. Defining crustal types based solely on the character of potential field data is ambitious, and an overarching typical character is unlikely to be consistently observed globally; however, when ground truthed against independent observations, these data allow the users to extend their initial interpretations along the margins to develop crustal architecture models. Key to this process is the use of self-consistent gravity and magnetic datasets with good regional coverage. Some elements that are consistent with magma-rich and magma-poor transitional domains are clearly observed, particularly in the more direct crustal response of the magnetic data. Additionally, the gravity data can also be used for these interpretations owing to both the bulk density contrast between intruded and unintruded crustal blocks and the long-wavelength response generated by an elevated Moho at hyperextended margins. Initial observations and geological models should be further tested by detailed 2D gravity and magnetic modeling; ideally, this modeling should be constrained by seismic data and ‘pegged’ at both ends in the margin-bounding oceanic and undeformed continental crust domains. The Caspian Sea accommodates three major petroleum systems. 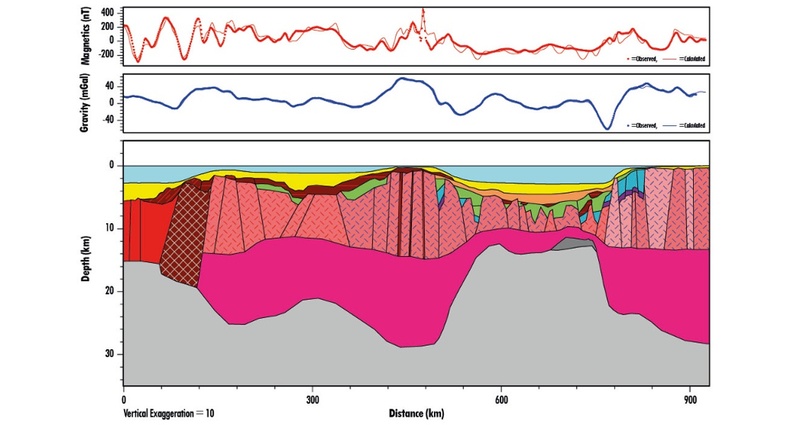 Here, we take a look at the Jurassic hydrocarbon reservoir systems of the Central Caspian.